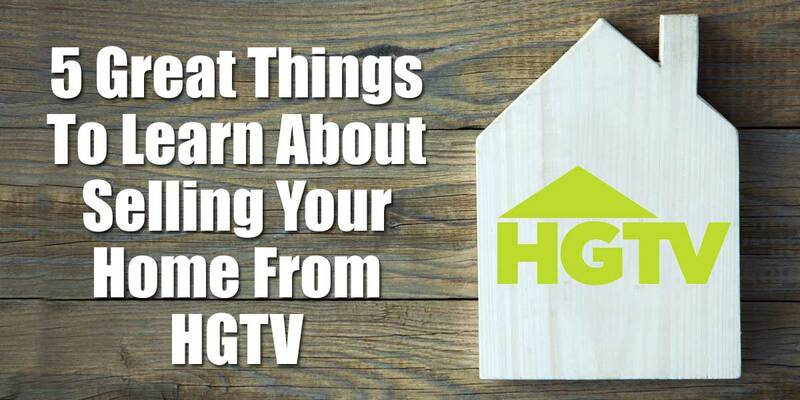 If you are addicted to those home shows on HGTV and are thinking about selling your home, you can get some great ideas on what to do (and not to do) to make your home a winner! Tarek and Christina are real estate investors who are always buying some property sight-unseen and then “flipping” it to make a profit. If you watch them for any time, you will notice that there is always some major “gotcha” that catches them off guard and makes their remodeling a nightmare. That is what your buyer is afraid of! They worry that all those little “problems” in your home will add up to big money down the line. Tip: Have a pre-home inspection done if your home is in great condition. This will mean that your buyer won’t do their own inspection, but it will take away many of the scary thoughts swirling throughout their heads when considering making an offer. Tip: The only time they really have a hard time selling their home is when they price it too high for the market. Don’t “try” to get a higher price than the market will bear for your home. Consider the actual price and condition of your home and then price it right. Chip and Joanna are also house flippers, but their hook is that they make amazingly beautiful HOMES for their clients by decorating and staging them before they move in. The “afters” on this show are overwhelmingly beautiful and completely done. Tip: Take some time to stage your home for selling. Get out the china and set your table, have high end linens and great bedding. The nice thing is that you can take any staging materials you use to your new home and having a cohesive look will WOW your potential buyers. Hillary and David battle to find out whether a couple’s home can be “saved” with remodeling or whether they need to move by “listing” it. Many buyers worry that the home they are buying now will not meet their needs down the road. Tip: If you are trying to appeal to first time buyers, make sure you have areas that are staged to look like kids live there. High end buyers will want high end fixtures like granite countertops and gourmet kitchens. KNOW who your potential buyers are and take the time to show them that your house will be perfect now and in the future! If you watch house hunters for any length of time you will notice that they are VERY picky about all kinds of things that we think are silly. The other thing you will notice is that they generally have a smaller budget than their “dream home” features allow. Tip: Anything you can do to make sure that you house is the shining star of your price range is a good thing. Check out the competition and figure out if there is anything that you can do to set your home apart! Nicole is huge about keeping the charm of old houses. She makes sure that instead of just tearing out everything that you maintain the features that make it special. Tip: If you can keep the travertine floors and 1950’s tiles. Now, we are aren’t saying to maintain ugly features, but not to just throw out every feature that makes your home special.